Red Worms vs. Nightcrawlers for Composting. What’s the Difference? Red Worms (Eisenia fetida), European Nightcrawlers (Eisenia hortensis), and African Nightcrawlers (Eudrillus eugeniae), are all excellent composters. These worms vary in size, w/ Red Worms being the smallest and possibly the least picky. 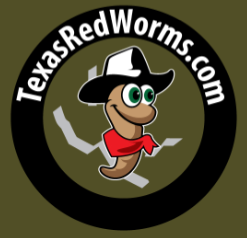 Red Worms ease of care and ability to handle a wide range of temperatures make them a popular composting worm. European and African Nightcrawlers are larger worms. European Nightcrawlers are popular w/ fisherman, due to size. You’ll find their larger cousin (Canadian Nightcrawler) in bait shops, as well. European Nightcrawlers can be used for composting, but thought to be less efficient than Red Wigglers or African Nightcrawlers. African Nightcrawlers are a tropical worm that thrive in warmer climates, need to be kept in temperatures above 70F and will start to die off at 60F. They are the choice for many commercial worm casting producers that have access to climate controlled facilities. All three species or varieties can be prolific in the right conditions, and make excellent composting worms.